At Carolina Mountain Vacations, it is our mission to provide the best possible vacation experience for every guest staying at any of our rental cabins. We believe that means each vacation should be a unique and tailored experience that our guests will never forget. We understand that the best vacation experience for our guest isn't always as simple as picking from a list of generically packaged services. You don’t want just any flowers for your special someone; you want their favorite flowers waiting for them at the cabin when they arrive. You’re not looking for just the closest restaurant; you want to know which one has the best atmosphere for an anniversary dinner or if there is a chef who will cook for you in the cabin? Our knowledgeable and experienced Concierge is your personal local expert on all that Bryson City and the regions surrounding the Great Smoky Mountains National park have to offer. For years we have helped guest plan romantic getaways, coordinate exciting outdoor adventures or even make all the needed arrangements so guest won’t have to leave the peaceful serenity of a secluded private mountain top cabin from check-in to check-out. Our Concierge can help create a customized vacation experience for your stay as well. We have never charged and still don’t charge guest staying at a Carolina Mountain Vacations cabin for our concierge’s help coordinating their vacation experiences (this is a courtesy to our guest, NO Booking or membership Fees from C.M.V.) of course there are still fees charged by the area attractions and service providers i.e. : tickets, meals, delivery, guides and other services; as well as any tips are the responsibility of guest. Though, with our years of experience connecting our guest with these various companies and service providers we can often arrange discounted prices not available to the area’s standard tourist. Planning a customized vacation can take thought and steps that require advance arrangements that are often time and availability sensitive. Once you have booked a cabin you will receive an email from our concierge (guest_services@...) with contact info to start your planning. It is always best to start scheduling all the activities you plan to enjoy during your stay as soon as you have booked a cabin. Some time slots fill up and seating can be limited. Though it is best to start planning now, things can and do change while on a vacation. If you need to rearrange your schedule our concierge is there to help. If you decide to undertake a new adventure and need help obtaining last minute tickets our concierge is there to help. Do I have to buy tickets or make reservations through your concierge? Answer: No, after receiving a recommendation or info from our concierge you are free to make reservations / buy tickets on your own. Explanation: Our concierge service is provided as a courtesy to guest staying at Carolina Mountain Vacations. We are here to help make your vacation the best experience possible. As a guest you are welcome to use the concierge in the manner that you are most comfortable with. I haven't booked a cabin yet, can your concierge help me plan a vacation? Answer: No, it is best to book your cabin in advance of scheduling your activities. Explanation: The availability of the cabin you want to stay at can determine the dates of your stay as well as when you will be in town to attend the activities. Which region the cabin is located in also affects which in-cabin service providers are available (i.e. chef, masseur…).To help you with pre-planning the kind of experiences you want to schedule, we have listed and described many of the popular vacation types and related experiences on the tab “Customized Vacation Experiences”. This was a last minute trip, can you concierge still help? Answer: Yes, Our concierge will do their best to help arrange any services or activities you wish. Explanation: However, some services require advance notice to complete in time for your arrival. (I.E.. Pantry Pre-stock, Flower deliveries…) Other services may have limited available time slots or dates. However cancellations do happen and opening may be possible, so we will always try to make it happen if at all possible. Answer: Yes, we will definitely attempt to make any arrangements that you wish. Explanation: However, please be aware that available time slots / dates of some services or activities may be limited. Though, cancellations do happen and opening may be possible, so we will always try to make it happen if at all possible. We rented a cabin Online from a national booking site, can we book some of your services at this cabin too? Answer: No. 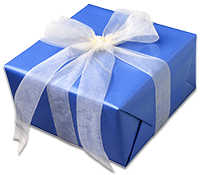 We do not make deliveries to or schedule services at any cabin that is not managed by Carolina Mountain Vacations. Explanation: Since we do not charge for our Concierge’s services we can only offer their service to registered guest staying at one of our rental cabins. Also, For the safety of delivery and service personnel (i.e. chef, masseur,...); at check-in we verify the guest’s info that is staying at the secluded cabin they are going to. This is so the info can be handed over to local authorities if there is an incident. Besides, we do not have permission nor the means to enter a cabin not managed by us, to make delivery of items before your arrival. How Far in advance do i need to make arrangements with the concierge? Answer: For the best chance to schedule any experience on the date and time of your choosing, we recommend that you schedule the experience as soon as you book a cabin. Especially any of your must do experience. Explanation : It is possible to schedule experiences with as little as 7 days advance notice however day and time slot availability is usually very limited and hoping for someone else to cancel their experience so you can take the opening is usually unsuccessful. Some of our In-Cabin Extras can be arrange with as little as 48 hours’ notice. To start you daydreaming about a customized vacation at a smoky mountain rental cabin; below are some of the most popular types of vacations and the services requested of our Concierge by guest over the years. Any of these experiences or services can be combined during your stay to create a vacation tailored to your wishes. Don’t see the exact type of vacation experience you’re dreaming of? Our concierge is at your service for anything you can dream up! All vacations are about escaping everyday life. But not all vacation escapes end with you feeling relaxed and renewed. How often have you felt like you needed a vacation to recuperate from a vacation? Escaping to where the peaceful serenity of nature surrounds and calms your senses is a truly therapeutic vacation experience. Our secluded and mountain top cabins are popular retreats for those seeking refuge from the noise and pace of their everyday world. (A minimum of 3 days is usually required to completely decompress. Be cautioned as stays of 5 days or more can leave an impression on the soul that your spirit will crave to return to time and again). Spending some down time secluded deep in a quiet ancient forest or perched high atop a mountain with scenic views that inspire a sense of awe and contemplation, are powerful medicine for the soul. Our Concierge can help enhance your sense of relaxation while on your vacation by arranging any of the below services for your stay at one of our cabins. Most can be arranged so you won’t need to leave the sanctuary of your mountain cabin retreat. Let us bring the peace and tranquility of the spa right to your cabin! Enjoy a relaxing massage or choose from a list of treatments including a nutrient rich restoring bath balm that will leave your skin feeling silky soft. You will experience relaxation on a whole new level when you enjoy an In-Cabin massage and spa treatment! You have finally found your quiet peaceful corner of the world in a mountain cabin. Are you really going to feel like getting back in the car to trek back to civilization and all that noise? Instead have us do the grocery shopping before you arrive and you can spend your entire stay secluded in the peace of a mountain cabin. Our (now Your) personal shopper will pick up and deliver all your grocery items to stock the pantry for your arrival. Our concierge will work with you to create your list. Which and how many groceries is completely up to you. Just a few items, or enough to feed an army, no list is too large or too small. Cooking a meal while on vacation is not always a vacation, especially when trying to do it in a kitchen that you are unfamiliar with. The most common alternative is running out to a restaurant but who wants to leave this beautiful sanctuary of a cabin to return to town. Our Concierge can arrange for a private chef to cook a meal for you in your cabin. Relax on the deck and soak in the endless mountains views while your personal chef creates a delicious meal in the comforts of your cabin. From preparation to clean up, your chef will handle it all. Prices vary by menu selections and group size. Menu options are seasonal and available upon request. This is probably the most popular vacation experience that our concierge assists our guest with during the winter months. Whether it is a surprise weekend getaway, the start of an engagement, a honeymoon or anniversary trip nothing sparks or rekindles the fire of a relationship like a romantic vacation in a secluded Smoky Mountain cabin. No hotel room can provide the feeling of privacy that staying in a log cabin high on a mountain top or secluded deep in a forest can provide. Imagine having the whole house and even all the outdoor spaces to enjoy being alone with each other, not stuck to one room for privacy. You will feel like you are the only two people in the world. Most of our cabins have a private outdoor hot tub where you can spend the evening truly connecting with each other under a sea of stars. As romantic as being alone together in a mountain cabin is, our concierge can assist with setting the mood to create a trip that will bring you closer together and one that they will be bragging to all their friends about. Below are a few services our Concierge can arrange for your arrival at your cabin; some available without ever having to leave the privacy of your cabin! Have something special in mind? We can probably arrange it, just ask. Want to create the ultimate romantic dining experience at a private table with a scenic mountain view without having to leave the comfort of your secluded mountain escape but not especially skilled in the kitchen. We can arrange for a private chef to cook a romantic dinner for two in your cabin. Relax on the deck and watch the sunset over the mountains or cuddle on the sofa in front of the fireplace while your personal chef creates a delicious meal in the comforts of your cabin. From preparation to clean up, your chef will handle it all. Menu options are seasonal and available apron request. Stress and tension are sure killers of a romantic mood. So, make sure you and your guest are completely relaxed by starting off your romantic escape with a couple’s massage in the privacy of your mountain cabin or maybe even out on the private deck. We have worked with local masseurs and spa treatment professionals for years. Our concierge recommends scheduling a spa treatment or couples massage for the day of your arrival or the next morning to ensure you can take full benefit of the relaxing mood starting effects for the rest of your stay. Though it may seem overly traditional everyone still appreciates a bouquet of flowers, especially when they are their favorite type and given as a surprise. We can arrange to have a bouquet of flower awaiting in the cabin for your someone special’s arrival. 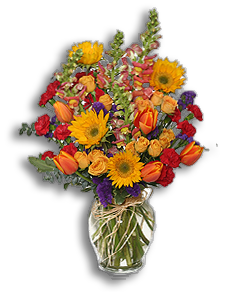 To help keep your surprise a secret we will work with a local florist to customize a bouquet to your instructions (include their favorite flowers) or we can have one of the local talented florist create a beautiful arrangement within your budget. Want a trail of rose petals through the cabin? Don’t be shy, this is your special trip and we are here to help make sure it is as personalized as if you had set it up yourself the night before. The scenic natural beauty of a mountain lake at sunset can be as romantically inspiring as any walk on the beach. Book a 2-hour cruise around Fontana Lake as you soak in the breathtaking views of the mountains that surround you. Fontana Lake forms the southern boarder of the Great Smoky Mountains National Park and boast 26 miles of natural undeveloped shoreline. A captain with years of experience navigating Fontana Lake’s many scenic fingers and coves will take you on a 2-hour cruise in a pontoon boat with comfortable seating. If you’re looking for more activity and adventure when on vacation, then you are looking in the right place! The North Carolina Smoky Mountains are home to 60 % of the Great Smoky Mountains National Park, Cherokee Indian Reservation, Fontana Lake, and the Nantahala River & National Forest. All this surrounding natural environment is an outdoor adventurer’s dream theme park and why Bryson City, a small smoky mountain town is nationally known as the “Outdoor Adventure Capital of the Smokies”. Since all our rental cabins are located throughout this region within a short drive of all the areas outdoor activities, our cabins make the perfect base camp for big adventure! We have been connecting guest staying at our cabins with local activities and service companies since C.M.V.’s founding in 2001. Many of these companies express their gratitude by offering discounted tickets to us. Since we are also grateful for our guest choosing to stay with us, we pass those discounts on to our guest. Instead of listing the ever-growing list of companies, we ask that our guest contact our concierge for discount information about any of the activities they are planning to enjoy during their stay. Mother nature's roller-coaster ride. The Nantahala River is one of America’s favorite whitewater playgrounds! It is ideally located at the edge of the Great Smoky Mountains National Park! Enjoy the eight miles of crystal clear water, constant waves and swift currents that make the Nantahala River a delight for all ages and groups interested in an exhilarating introduction to whitewater rafting! Soar high about the Nantahala Gorge and the mountains of Western North Carolina on an aerial zip lining adventure. Enjoy panoramic views while you fly high above the forest and experience the unbelievable bird’s eye view of the Smoky Mountains. A safe, fun, family friendly horseback riding experience within the Great Smoky Mountains National Park! Ride alongside natural riding trails featuring beautiful wooded scenery, native flora and fauna, and mountain streams and waterfalls! There are a few choice locations , we can help find the best choice for your family. The Great Smoky Mountains create some of the most ideal fishing conditions in the country, and you can enjoy the sport of fishing all year round! Discover the magic that our rivers and streams have to offer on a guided fly fishing excursion. Trips available for all ranges of fishermen from beginner to expert. Each year, our area attracts thousands of mountain bikers to the world-famous Tsali Recreation Area Trail System! This 42-mile network of multi-use trails is consistently rated one of the top ten riding destinations in the United States. Bryson City is centrally located to ride sixteen great trails in the mountains. So whether you are a beginner, an adventure racer or somewhere in between, off-road bicycling in far western North Carolina offers something for everyone. No bike? No problem! We can help you find the best bike rentals for your mountain adventure! Western North Carolina is home to hundreds of miles of white water rivers and mountain lakes making it a favorite destination for kayakers. For outdoor enthusiasts seeking verdant scenery and glimpses of wildlife, the flat water trails through the mountain lakes of western North Carolina offer all that and more! With our years of experience we can offer guidance and arrange rentals. The rivers and lakes and the availability of quality kayak instruction are what has given Swain County the title of "the Whitewater Capital." Stand up paddle boarding is a great way to enjoy the many beautiful lakes and rivers in our area. Whether you want to cruise around the Tuckasegee River in downtown Bryson City, or take it out to the picturesque Fontana Lake, paddle boarding is a great way for the whole family to enjoy our waterways! We can arrange for a guided tour of the water, or help you rent boards to paddle around on your own. Relax and take a float down our natural ‘lazy river’. Western North Carolina has two great tubing runs and both are near Bryson City. Both Deep Creek and the Oconaluftee River in Cherokee have crystal clear water that originates in springs bubbling up and filtering through the ferns and moss in the Great Smoky Mountains National Park. Tubing companies generally operate from Memorial Day weekend through Labor Day weekend! The combination of peaks in valleys here in the Smoky Mountains create the landscape for amazing golf! The picturesque backdrops and unique challenges of mountain golf courses attract players from all over the country. Elevate your golf game and try your hand at one of our renowned mountain golf courses. Our concierge will have greens fee info and can schedule a tee time for you. Take the thought and worry out of your wanderings and let an experience tour guide show you around! Whether you looking to sightsee by foot, jeep, or train, we can pair you with great guides that can lead the way! The North Carolina Smoky Mountains are home to 60 % of the Great Smoky Mountains National Park, Cherokee Indian Reservation, Joyce Kilmer Memorial Forest, Fontana Lake, and the Nantahala River & National Forest. This scenic natural environment is unspoiled by modern over development as is often found on the Tennessee side of the Smokies around Gatlinburg and Pigeon Forge. This quiet rural setting is perfect for a relaxing vacation surrounded by the beauty of nature. With so many wonderful trails inter-weaved all throughout our Smoky Mountains, choosing the best trail to navigate can be intimidating. Have no fear! There are knowledgeable guides available to help take the stress and worry out of your hikes so you can relax and just enjoy the trek! Take a personal exploration up the mountain and see some of the most remarkable waterfalls in the Nantahala area! Travel on county and Forest Service roads with great views as you travel past beautiful lakes and up to the Appalachian Trail. Enjoy a beautiful scenic rail excursion that takes you from our historic depot in Bryson City, throughout the beautiful countryside of Western North Carolina! There are a variety of train options and special event trains available throughout the year to help you have the perfect train experience! America's largest private home though it is a little over an hour’s drive away it is generally considered a day trip. This is mainly because it can take nearly a full day to tour through and take in all the estate, gardens and winery have to offer. The luxurious family home of George and Edith Vanderbilt is a marvel of elegance and charm, as magnificent today as it was more than a century ago. Your self-guided house visit spans three floors and the basement. You’ll see displays of vintage clothing, accessories, art, furniture, and more that tell stories and illustrate the lives of the Vanderbilt family, their guests, and employees. Let an experienced beverage connoisseur take you on a ride through the mountains of Western North Carolina as you stop and sample libations at local craft breweries or wineries. Tours include transportation and a beverage sample at each stop. Enjoy the beautiful views that surround Fontana Lake from the (comforts) of a private pontoon boat cruise. Learn about the rich history of Fontana Lake as your captain navigates you to the most scenic and hard to reach areas. Be sure to bring a camera to capture the amazing wild life and water falls you will pass on your voyage! Birthdays, anniversaries, Family reunion or just a much awaited vacation… we say any day you’re on vacation is worthy of a celebration! Let our concierge help you celebrate any occasion with customized indulgences. 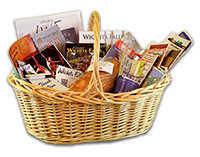 Make your arrival at your cabin extra special with a welcome basket filled with tasty treats waiting you at your cabin. Relax and enjoy some delicious cheese, crackers, fruit, and wine while you unpack and get settled into your vacation. Customize this basket with your favorite items, or let our designer create a basket special just for you! Birthdays, anniversaries, or just a much awaited vacation… we say any day you’re on vacation is worthy of a celebration! Let us help you rejoice with some delicious indulgences delivered right to your doorstep! Start the celebration with a personalized congratulatory message beautifully displayed on a locally baked cake/cupcake arrangement. Pair that with a gallon of your favorite ice cream and a bouquet of balloons and you are ready to celebrate!! Whether it is your First time visiting the smoky mountains or you visit so often you’re nearly a resident, our guest services can help you find a new favorite or schedule a must do.. even if your just looking for a recommendations or info we can help. You don't have to have us make the reservation. We are here to service our guest staying at any of our cabins as they need, information and or guidance is available with out the expectation that we will be making the booking. We have over a decade of experience assisting our guest with plan and scheduling their vacation experiences. We are also locals who eat and play in this area. We put a lot of weight on the reported experience of our guest when making recommendations. When we make a recommendation, it is based on the consummative results of our guest’s reviews of their experiences not just our opinion. No bias. Your satisfaction with the experiences we recommend is critical to us as we believe that it factors into your decision to come back and visit us again.